Jewel Lansing retired from public office in 1986 and now spends her time researching and writing about history. Her most recent writing project, co-author with journalist Fred Lesson, is Multnomah: The Tumultuous Story of Oregon's Most Populous County. It is a companion book to Portland: People, Politics and Power, published in 2003. Oregon State University Press is the publisher for both books. 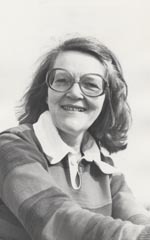 In 1974, Jewel was the first woman (one of two that year) ever elected to Multnomah County government office. In 1983, Jewel was only the fifth woman to ever serve as an elected City of Portland official. In 1976 and 1980, Jewel won the Democratic primary for Oregon State Treasurer, but lost both times by a narrow margin in the general. When she ran in 1976, no woman had yet been elected to statewide state office. Her races are widely viewed as inspirational to other women candidates for elective office. Jewel chronicled her statewide campaign experiences in two books -- Campaigning for Office; A Woman Runs and 101 Campaign Tips for Women Candidates and Their Staffs, both of which are now out-of-print. Jewel’s best known work is Portland: People, Politics, and Power - 1851-2001, a 150-year history published by the Oregon State University Press in 2003. As the elected Multnomah County Auditor from 1975 to 1982 and City of Portland Auditor from 1983 to 1986, Jewel learned enough about Portland history to want to know more. Public service and politics have been strong threads throughout her adult life. Likewise, when Jewel decided to try fiction, she wrote a murder mystery set in Portland City Hall, Deadly Games in City Hall, published in 1997. She has worked on dozens of political campaigns and continues her interest in politics as a founder and board member of WIN-PAC (Women’s Investment Network -- Political Action Committee), a group committed to electing more progressive women to the Oregon legislature. In the 1980's Jewel focused on her family genealogy and wrote two books: One about her Czechoslovakian ancestors A Czech Family Heritage: Bohemia-U.S.A. - 1765-1996, and the other about her Norwegian ancestors co-authored with her cousin Ole J. Lokberg in Norway, The Beck Family Book: Norway-U.S.A. - 1700-1989. 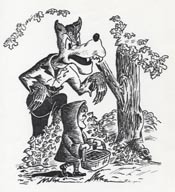 Both are now out of print, but a link on this web site makes the books available through the internet. Prior to her political career, Jewel worked as a certified public accountant and, earlier, taught school for four years. 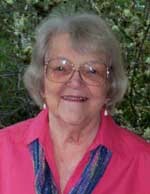 She received a bachelor’s degree in journalism from the University of Montana in 1952 and a master’s degree in education from Stanford University in 1954. 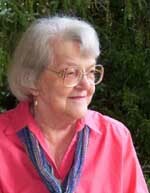 In 1952-53, she worked for the Central Intelligence Agency (CIA) in Washington, D. C. She met her future husband, Ron Lansing, while working as a civilian service club director for Army Special Services in Europe. They wed in Neu-Ulm, West Germany, not far from the Danube River, on June 16, 1956. 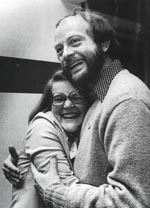 Jewel and Ron (an emeritus law professor at Lewis and Clark College), celebrated their 50th wedding anniversary in 2006. The couple lived in Salem for four years when they first came to Oregon in 1957. Jewel taught autistic children at the Hope School in Colorado Springs prior to coming to Oregon, and at the Chemawa Indian School and Keizer Grade School in Salem while Ron attended Willamette University Law School and clerked for the Chief Justice of the Oregon Supreme Court. They have lived in Portland since 1961. 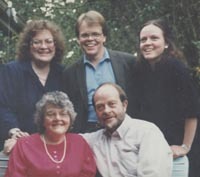 Their three children and five grandchildren all continue to live in Oregon - in Beaverton, Scappoose, and Grants Pass. Jewel enjoys hiking, canoeing, reading, aerobics, and playing cards - especially live poker tournaments and friendly home games. She survived a climb to the top of Mt. Hood in 1974 and two eight-day canoe trips around a 72-mile circuit of rivers and lakes in the Bowron Lakes Wilderness Park of British Columbia in 1986 and 1987. Jewel is the founder of a women’s poker group of politically-minded women that has met monthly since May 1997. One of her book reading groups (The Grateful Read) has been meeting since May 1995. Her League of Women Voters non-fiction book group (Viva Libra) began meeting monthly in October 2007. Jewel’s other organizational associations include the Oregon Writers’ Colony, Oregon Environmental Council, Portland City Club, and First Unitarian Church of Portland. 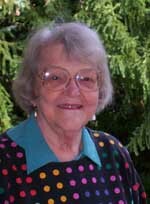 She served as the first woman president of the West Hills Unitarian Fellowship in 1971-72. Her most recent publication is a 150-year history of Multnomah County government that she co-authored with retired Oregonian reporter Fred Lesson.